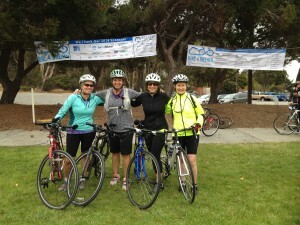 Browse: Home » Team Lisa » Come Join or Support Team Lisa in SF on 9/21! On April 11, I tentatively went for my first bike ride since my diagnosis. Eric and I tooled around the neighborhood and it felt great. Since then I’ve ventured out more and more, trying to build my strength and stamina and humble-bragging to my FB friends with posts from Strava (the app I use to track my rides). It’s a bit of a roller-coaster since I receive chemo every three weeks which knocks me out for 5-10 days. I always feel like I’m racing against the clock to squeeze in more and longer rides in the handful of good days I have before returning to the infusion center and beginning the process over again. I’m a long way off the fitness level I had before I got my diagnosis, but still progress is undeniable. The last two weekends I did 30+ mile rides! The picture you see here is me, with my friends Karen Parket Moreland, Alexa Morris and Sara Hart. 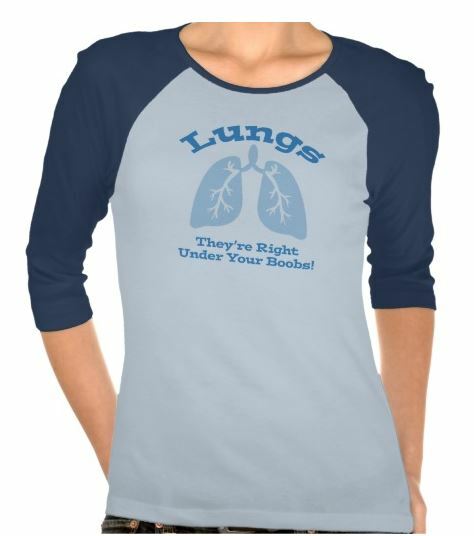 Sara is a fellow lung cancer survivor and personal hero. 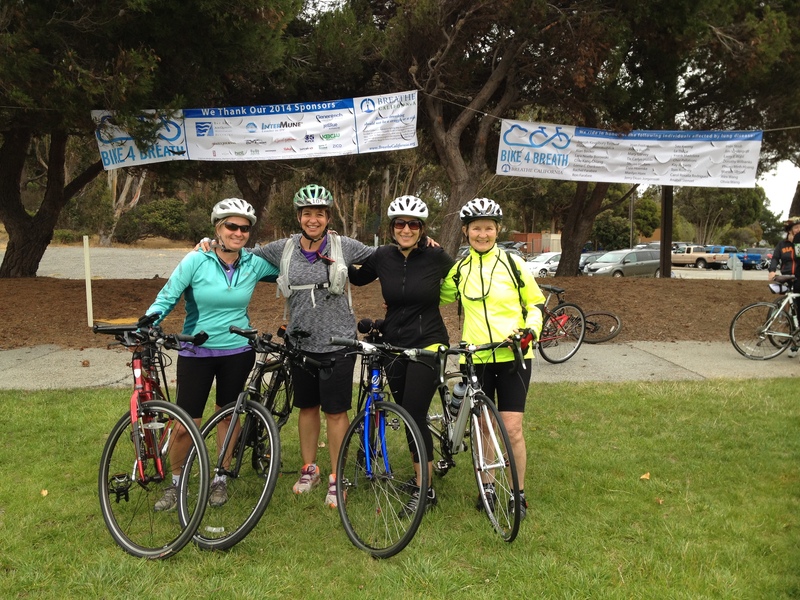 We did the Bike 4 Breath ride in San Mateo. I have lived vicariously through my awesome Team Lisa representatives at several events in the last 7 months (thank you Team Lisa peeps!). The Bike 4 Breath ride was my first time representing myself. I didn’t publicize and recruit for this event because I was testing the waters, but now I’m ready for the big time. 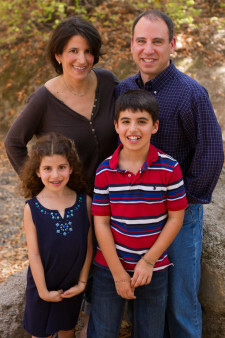 Please support or come join Team Lisa (the whole nuclear Goldman Family will be there!) for the Bonnie Addario Lung Cancer Foundations 6th Annual Your Next Step is the Cure San Francisco, CA 5K. I have set my goal at 18 team members and $1800 in recognition of the Jewish tradition of doing things in multiples of 18 to celebrate life (the numerical value of the letters in the Hebrew word Chai totals 18, and the word Chai means life). Let’s do this – L’Chaim/To Life!